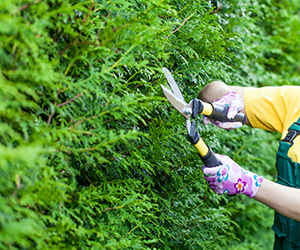 Removing unsightly bushes or unwanted shrubbery from any property can not only increase the property’s appeal but can also save you from fines and fees associated with fire hazards! Storms can also become a reason to have your property properly cleaned and cleared of debris. We provide complete hauling and removal services for all types of shrubbery and debris including yard cleanups, hillside clearance, lot clearance, back yard cleaning, stump removals and more.